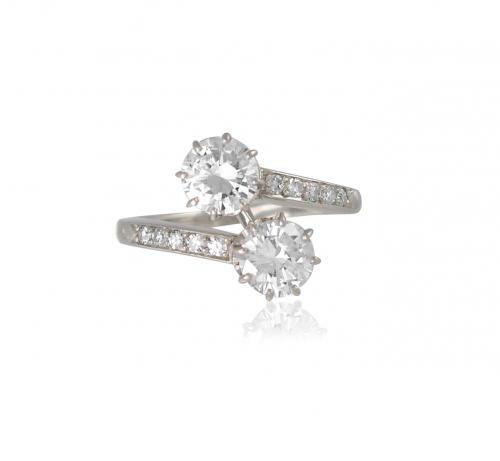 A beautiful ring set in 18ct white gold with 2 main centre diamonds and smaller diamonds on the sides in a French setting. Diamonds 1.55cts in total. circa 1920.